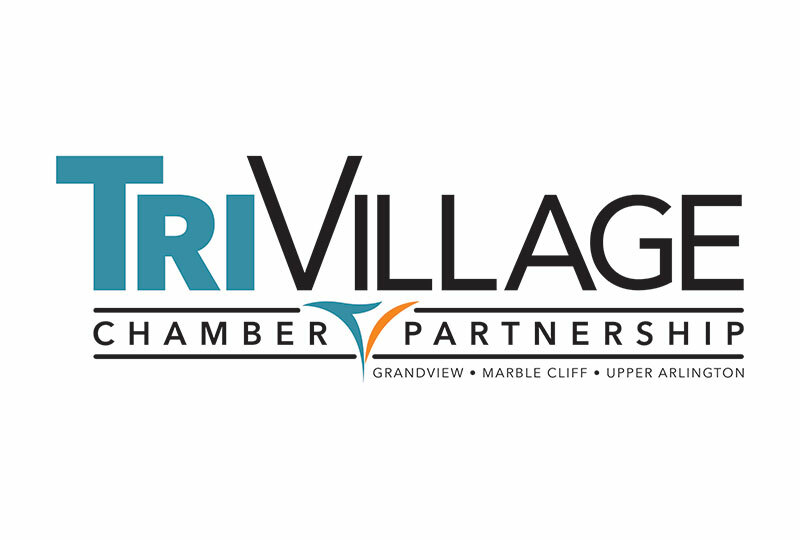 On behalf of the Tri-Village Chamber Partnership Board of Directors, we welcome Stephanie Evans as our new Executive Director. As many of you know, Stephanie served as Membership Manager with the organization since mid-2017. In this role, she worked closely with our former Executive Director Michelle Wilson. They formed a dynamic duo, helping increase our community connections and further our chamber’s goals. 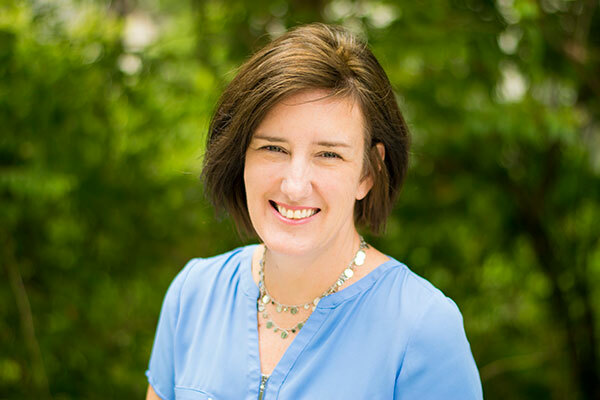 Stephanie acted as the Interim Executive Director over the past month, and the Board made the unanimous decision to remove Interim from her title and offer her the full time position. Thankfully for the Board, Stephanie accepted. Stephanie’s passion for our business community will lead us into our next great chapter. Congratulations Stephanie – we look forward to continued success! Our August Monthly Luncheon focused on how your business presents itself online. Isaac Noland from Red Tail Design Co joined us to talk about websites and social media. We’ve organized a condensed outline of his talk and some links to resources and further reading that can help your business. 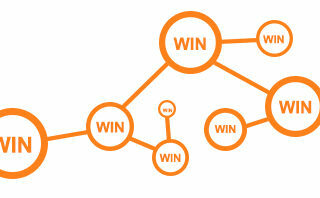 A holistic view of how your brand is represented on the web. [At the luncheon we talked] mainly about what is under your DIRECT control. It is your home on the web. It may be a person’s first interaction with your brand. If it’s messy, it can reflect poorly on your company. It doesn’t need to look flashy or be complicated. It’s a place where people can answer their own questions about your business. How do you think people use or access your website? Mostly on phone or desktop? Have you looked at your company’s website on your phone recently? Tried to use it? 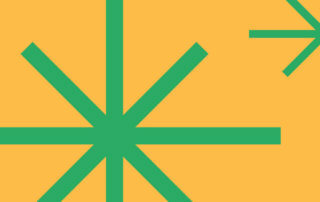 If you didn’t know the website already, what would you think? What elements of a website do you think are essential and why? Have you Googled your own business recently? What does the search results page look like? How often do you update the site and what gets updated? Is there a plan or process for updates? Even just a casual one? Look at competitors and others in your industry. What features do their sites have? Do they make sense to have? Make a list of sites you like, note why. Make a list of sites you don’t like, note why. Make a “sitemap,” the pages that you need a new site to have. Plan out the written and visual content of each page. Organize your brand files, make sure you have large pngs of your logo and as many resources as possible to provide. Will you know how to update your site? What if you want to work with a different company later? *Website designers and developers are not copywriters, they are not photographers, they are not graphic designers. and vice versa. But, any given agency or group probably has some mix of those skills or at least works with people who do. In many cases you should be able to provide rough information and pay a dedicated copywriter (with web experience!) to make it work great for your site’s needs. There is higher social media potential if someone directly involved with your business is actively using your social media. This means you or your employees personally managing your channels and actively using them every day. Can you cut out the middleman? Leverage your intimate knowledge and familiarity of your business while having systems in place that prevent you from getting bogged down in the actual nitty-gritty? With a little practice, I believe you can have a more robust, active, natural and organic feeling social media presence than you could achieve by hiring someone. You can hire someone to create a strategy and train you on its use. Identify what aspects of your business’ day-to-day life can be added to an Instagram story every morning, and what the text should be, and who should be tagged. Develop clear, specific social media responsibilities for existing employees, allowing you to empower them with more responsibility (and compensation as necessary) to a degree that helps your business. Help your business build its internal knowledge base and employee skill sets. Paying more upfront for a strategy, and time spent with training and or promoting an employee . I think that in many cases that should even out in less than half a year, and put you in a good spot. Obviously in the real world it isn’t this clean cut. Building a strategy, sharing responsibilities, and learning new tools can and will look very different for each business. Main point: it is not one-size-fits-all. The answer will be a combination of what you already know you want and need, and what a professional recommends. Ask questions! Play to your existing strengths and the strengths of your employees to get the most out of your time. Do you have any old or outdated information in them? Where does the bio link go on your Twitter or Instagram? Do you have outdated admin lists on Facebook? How do you determine what social media are right for you? What do your competitors use? What tools do each social media channel offer? How does this channel support your goals? You need to dive in and spend time. Try out a new feature on some social media. Be deliberate and think about how your business can use it. Download the above outline as a pdf. In February, Isaac Noland spoke at the Chamber of Commerce Executives of Ohio Winter Conference, hosting sessions on social media with Libby Gierach, Director of the Hilliard Chamber of Commerce. Included here are some select slides from that presentation. Focusing on Twiter and Instagram, they use examples from the TVCP’s social media when talking about tools available to you. Click here to download a PowerPoint file of these supplemental materials. Social media management tools usually are good sources of information. They work to attract users with useful resources on their blogs. Both have tons of articles about social media marketing. All of these publications will have way more articles than you’ll need, so it can be overwhelming if you just dive in. But if you search for specific advice or poke around a bit, you’ll find relevant information that can be enlightening about how your business can use social media and your website. We hope this has provided you with some useful advice! Thanks to everyone who made it to Hofbrauhaus in August 2018 for our Monthly Luncheon. 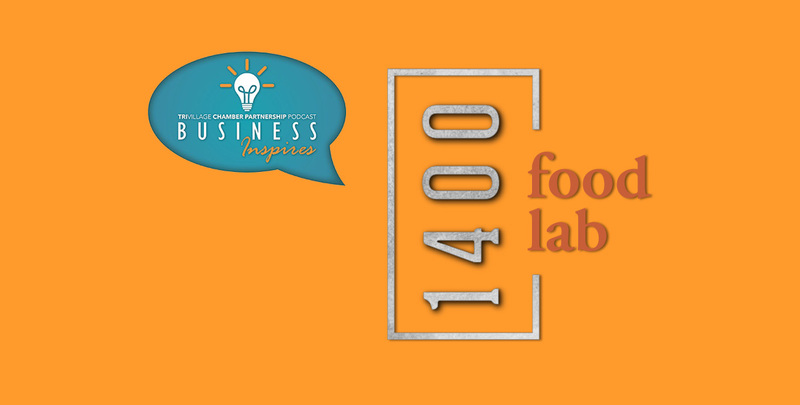 The 12th episode of our monthly Business Inspires podcast features Scott Humphreys, co-owner of 1400 Food Lab. 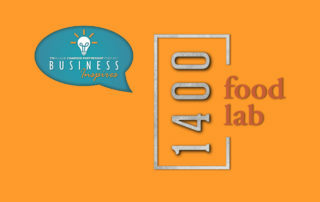 1400 Food Lab is a multi-purpose commercial kitchen space, serving as an incubator for food business start-ups, a test kitchen and food experience center. Listen and subscribe to Business Inspires on iTunes, or explore other ways to listen below. You don’t do it alone…somebody’s got to stop and take a moment to show you something…help you go in a direction you didn’t realize was right in front of you and provide that opportunity. So everybody needs help. “Take the hard right.” Always when you’re given a choice “take the hard right.” Do the right thing no matter what and whether it seems like it will pay off or not. And when it happens it will. You can’t go wrong. I put together a curriculum for a semester on the tenants of leadership and characteristics of a leader and values. All those things you use as a leader in how to interact with your people to inspire and motivate them and give them direction. And then peppered in some life skills along the way. It was a very interactive course… What I found was there were some people that really flourished in the classroom. It took those people that were really timid in the classroom and took them outside and they were in their element. They flourished and they turned into leaders. The goal was really to solidify what was there. Recapitalize the business and make it a place that you had some surety going forward that it was going to be there and you could grow business and make it even better than it was. And so that’s what we did. We improved the kitchen, improved the event space, really just from top-to-bottom went through the whole space and made it better than it was. Stream the episode above to hear Scott dive into every facet of 1400 Food Lab, from business incubator to event space. And don’t forget to view our upcoming events calendar for monthly luncheons, grand openings and more! Whether you’re a food maker, hosting an event or just looking for some food-related fun, check out 1400 Food Lab’s website to explore events and learn more. 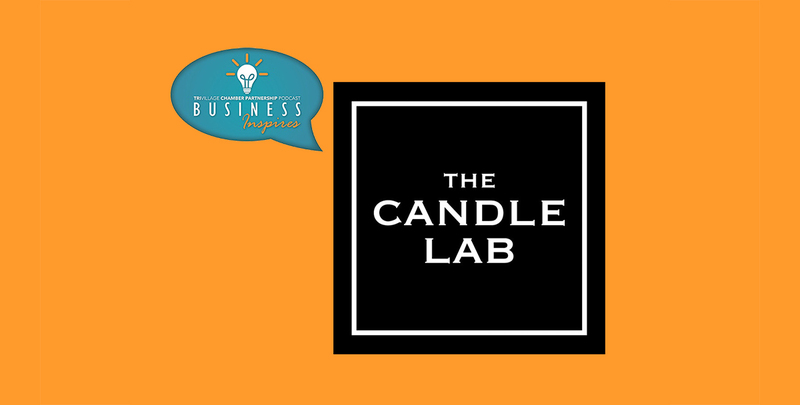 The ninth episode of our monthly podcast Business Inspires features Steven Weaver, owner of The Candle Lab. To run a successful business, you need resources, valuable connections and community recognition. This podcast will provide you with the inspiration to create the business that you envision. Since 2007, Steve and Katesha Weaver have grown The Candle Lab brand around custom fragrance. In 2009, they lost the The Candle Lab’s Grandview location to a fire that claimed multiple businesses on Grandview Avenue. 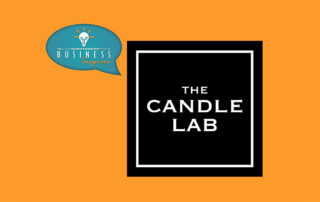 Now the candle lab has locations in Columbus, Cincinnati and Pittsburgh and recently reopened in Grandview. I got my full dose of my first career and was ready for something new… I was running out of people that i wanted to help get elected… I had seen enough of the dirty side of politics that I knew it didn’t matter how well we conducted our business as long as you are dealing with shady characters, that eventually you were going to get sucked into that. If you each have different jobs, you can lean on one another and share about your bad day and your spouse or significant other is there to support you. When you’re in it together, you’re both in there and you have to find other ways to cope with that, but the shared successes make that worth it. We were in Grandview almost right from the beginning, and that community has been so great to us and we have a lot of really loyal fans there that have helped us over all these years. So to be back on the avenue in the space that we’re in, right in the heart of the mix, has been great. Listen to Business Inspires Episode 9 and hear more about Weaver’s entry into the candle making business, challenges faced throughout the years and how to work with your neighbors when you enter a community. Give the gift of warmth this fall and winter. November 6 through December 20 we’re partnering with the Upper Arlington Rotary Club and Two Men and a Truck to host a coat drive in the Tri-Village area. We’re accepting donations of new or gently used coats, hats, gloves, and scarves. Please let us know if you would like your business to be a donation location and we’ll get a drop-off box to you! 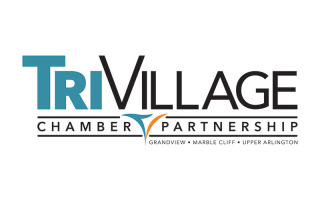 The Tri-Village Chamber Partnership and Upper Arlington Rotary Club will distribute donations throughout the Columbus area. 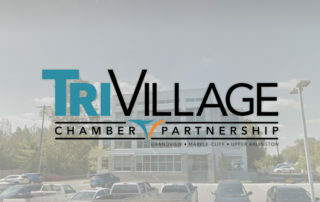 Coming off of our merger year, we’re excited to share with you our 2017 Tri-Village Chamber Partnership Community & Business Directory. It includes information about the TVCP, the communities we serve and over 600 members across dozens of business categories. Read the directory embedded below. You can also read the directory as a pdf here or follow this link to read it directly on Issuu. Caffeine junkies beware, the cover will probably make you crave coffee. But don’t worry, our member coffee houses are on page 36. You can also get to the application by clicking the “Join Now” button at the bottom of this page or in our banner. Feel free to share that signup form directly, or share this post so prospective members will know what prizes they will be entered to win. We’re thankful to our fantastic members for contributing prizes and helping refer new members. Our prize package represents a bounty of products and services from the Tri-Village area. Don’t forget the best way to benefit: refer three new members and get free membership for 2018! 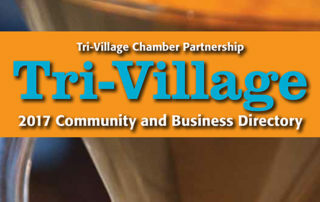 Check out the latest Tri-Village Chamber Partnership Business Spotlight from ThisWeek Community News. Click here for the full version, or read the business spotlight below. Check out the Digfest Spotlight from ThisWeek Community News. Click here for the full version, or read the spotlight below.